UPDATE (December 2016): The road leading up to the front gate is now owned by Robert Bigelow. Pictured further below the gate with multiple “NO TRESPASSING” is even a no go zone now. Apparently from reports (in the past) the caretakers of the ranch have been terrorized by thrill seekers and UFO Buffs who have managed to evade security and transverse the property to the house. Skinwalker Ranch, a place of high strangeness. I have gained an obsession with the story behind this mysterious zone of crossing worlds. Reporter, George Knapp, and Dr. Colm Kelleher (also N.I.D.S. or National Institute for Discovery Science team leader), co-authored a book, ‘Hunt For The Skinwalker: Science Confronts the Unexplained at a Remote Ranch in Utah‘ about the infamous Skinwalker Ranch in Northeastern, Utah. In 1994 cattle rancher, Terry Sherman, purchased this beautiful 480 acre piece of land; the property had been vacant for several years. Previous owners had died and owned it from the 1930’s. The house had unusual security measures installed. Immediately after moving in, the Shermans’ noticed bizarre animals and strange phenomena, including a giant wolf-like creature that attacked a calf on their first day there. It was then shot several times only meandering off unhurt into the wilderness and disappearing. Its heavy tracks vanished. “For a long time we wondered what we were seeing, if it was something to do with a top-secret project”, said Terry Sherman, who reluctantly agreed to speak publicly about the activity for the first time. “I don’t know really what to think about it.” —Original Deseret News Article (1996). They experienced poltergeist activity, shadow people, various UFOs, strange and exotic animals, portals opened with things coming through them, bigfoots, cattle mutilations, cattle disappearing without trace, mini-stealth fighters, and strange beams of light, etc. Some of the neighbors had reported similar things. The Unitah basin has been a place of many UFO sightings over the decades. The rancher’s bizarre cattle deaths were often accompanied by a strong, strange, musk-like odor. Joe “Junior” Hicks, a local trusted retired science teacher, had compiled some 400 reports over the years. He had sightings himself and the whole school had sightings of UFOs in broad daylight too. 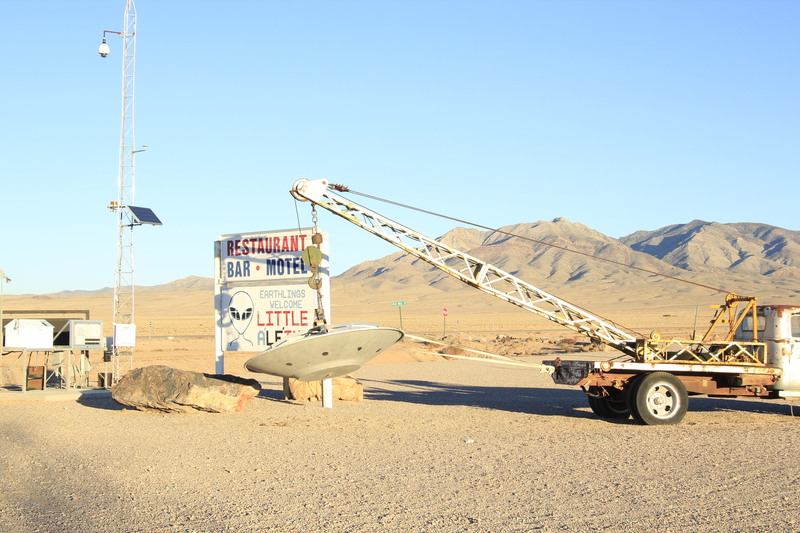 He said, “The UFO activity really started getting intense in the early 50’s… In the 60’s and 70’s we probably had more UFO sightings than any other place in the world.”—Las Vegas Mercury, George Knapp. The local Ute tribe avoid the ranch area. Being cursed land, some of them had been chased by fireball-like objects. Navajos and Utes in the distant past cursed each other. Navajo apparently sent a “skinwalker” to the area, which is some kind of shape-shifting, evil witch that has super-natural powers. The intelligent entities at the ranch had a mischievous demeanor. They would make items, some very heavy, disappear and reappear in unusual places like up in a tree. On an April afternoon, on a quick trip to town passing their bulls in the coral, Terry mentions to his wife in regard to their losses if they lost their four prized bulls that they would be in trouble. Upon returning shortly after their trip, to their shock, find their bulls gone. A frantic search began, finding them nowhere. He resorts to looking inside a trailer with one door secured with thick wire in place. Inside were his four bulls, jammed in there like sardines, in some sort of trance-like state. Cobwebs on the inside of the doorway were undisturbed. It would have been very hard to get one in there, but all four? “There is simply no way that anyone could coax those four bulls into that trailer”, says Colm Kelleher, a microbiologist who was part of the N.I.D.S. team who later studied events such as the cattle mutilations on the ranch. Six of the family’s cats vanished in one night. All of the family had witnessed UFOs there. The first one spotted even resembled a broken down r.v. by their third homestead. When they approached it to offer assistance, it started silently drifting up into the sky, obviously not an r.v. There were flying blue balls about the size of a baseball that looked like they were made of glass with two bubbling, luminescent fluids that were intermingling inside. These would fly around their animals and would retreat if approached. The last straw occurred one evening in May of 1996 when Terry ordered his three farm dogs to chase one of the blue glass-like flying balls. They snapped at it, but the ball was able to move out of the way. They chased the orb UFO beyond Terry’s view where he heard three startling yelps and then dead silence. No further response from them. Searching in morning for his dogs, he discovered three round spots of dried, brittle vegetation. In the middle was a black, greasy lump. Terry surmised those were the remains of his dogs and never saw them again. The Shermans spent their last day on the ranch rounding up cattle. By late evening they were “bone-tired”. They locked all the doors and saw their children to bed. Gwen and Terry took hot showers and then fell into a deep sleep. The next morning they awoke to find their bedding covered with blood. They each had a one- eighth inch deep “scoop mark” in the same place on their right thumbs. The ranch from hell had managed to terrorize them one last time. Terry did not want to pass their problem ranch onto someone else. He thought maybe the military were trying to scare him off of the land. Thinking publishing his story in Utah’s Deseret News would make them back-off, he went to the press. Soon after billionaire entrepreneur, Robert Bigelow, got wind of the story, he bought the property off of the Shermans with a non-disclosure agreement. Bigelow owns the Budget Suites chain. He gathers reports on UFOs and owns an aerospace company that has contracts with NASA. Bigelow assembled his own scientific investigation team of experts known as N.I.D.S. (National Institute for Discovery Science). The team, including former military personnel, was to have experts in the fields of engineering, physics, non-lethal military weapons, sociology, veterinary science, molecular biology, etc. 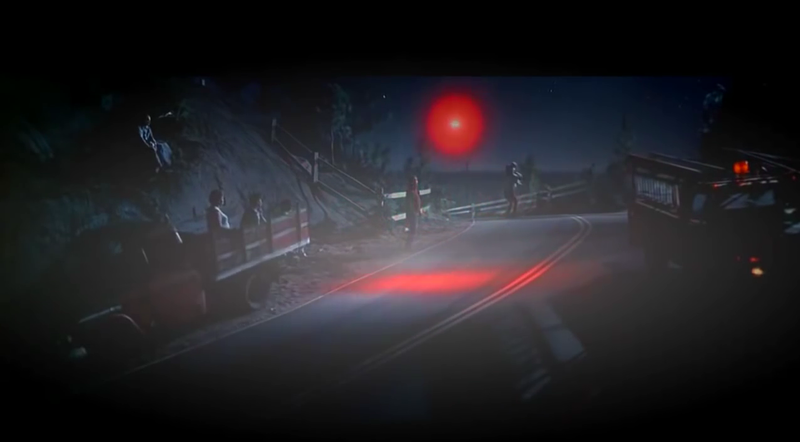 The team witnessed some of the strange events that the Shermans experienced. The intelligence/s always seems to be one-step ahead of the researchers. Nothing was repeatable for science sake. Some of them had been terrorized by what they saw. Activity diminished and N.I.D.S. was disbanded in 2004. The property today remains under guard by ex-military personnel and security cameras. There are plenty of “No Trespassing” signs to announce that. Could/Would the phenomena here be dangerous to humans? UFO Hill semi-legal viewing location. This is Ute land. This is where we had a rock thrown at us from the darkness. Saturday night. Location we observed from on Friday night. Below: a series of video still frames (scroll down to see movement) illustrating an anomaly that approaches me and turns in front my face as if to check me out! Above: (screen shots) light anomaly approached me as if to check me out. My head is on the right-hand side. Flight path unaffected by the strong gusty winds (that shook my parked car.) It also is self-illuminated (evident by light reflections in distance.) Captured with a Contour full-spectrum HD point-of-view camera. These anomalies appeared very quickly and disappeared again. What I call “sprites” zoomed up to me as if to check me out and then disappeared again. Some of which I saw even lit up my face as they went past. The above frames were shot at the Southern Vantage point. This in part is a follow-up story from my original interview with local Ute shaman, Larry Cesspooch, who recounted his paranormal experiences growing up around the Skinwalker Ranch region. I am in the works of compiling the second documentary account of the night investigations of what occurred and was captured on my devices. Some evidence was visual, but much was on audio and then, of course, the rock being hurled at us on UFO Hill. Some voices were calling my name. Some cried for help. A “To us” e.v.p. When I asked what was going on at Skinwalker Ranch on my radio shielded PSB7 spirit box I got a ,”hell”, response. What was eerie during a ghost box session in the car at the end of the night was an elongated sound like a woman screaming. We also got knocks on the window which frightened, girlfriend and now wife, Michelle. These device captures are in the process of being compiled for the final investigation review documentary. Did a sasquatch pay us a visit?! You can’t see the ranch from UFO Hill (known as by locals), but you can see the sky directly above it. The funny thing is I was hoping to capture something UFO related. We had a brief visit from law enforcement who was checking my car out in a remote place. Shortly afterward one of my mics picks up a growl/groan, what I thought then was an explosion right by us at the time. I figured that maybe a battery pack had exploded or maybe something related to a small utility pole near us. After reviewing the audio from this, something more shocking is apparent. A heavy rock is thrown at us from the darkness; you can hear it hitting the stony ground where we were. Now the drop below us went down about 50 or so feet and was steep. If one of us had been hit by this projectile we could have been killed or seriously hurt. Possibly a person could have done it, though creeping around in the rocky darkness there without a light source would have been risky. Strange animal sounds are recorded. I am just not an expert on local wildlife up there. Perhaps the wildlife sounds are some known creature. Best heard through headphones, it sounds like the wookie off Star Wars (sort of funny). I have listened to animal sounds from different wildlife, though not identified with those sounds. I had tried 2 or 3 Bigfoot experts to get their opinion, though I got no response. Larry went on to mention that a possibility for the rock being thrown was spirits trying to get our attention. Close by is Dead Man’s Curve where Larry says some twenty people he knew of died in accidents and mentions probably more. I put a lot of time into my videos and it means that I don’t get to put them out frequently as I would like to. Though I hope you appreciate the work that I put into them. For me if I don’t feel like it’s not worth the effort then I wont put in the hours. Content is king with me and “REAL” content. Honestly the real stuff is often stranger than the ideas Hollywood could come up with. Look at the Skinwalker Ranch case over in Northern Utah. I know some researchers who travel at great cost to themselves to experience some of the things for themselves. I had spoken to one of “The Fire in the Sky-Travis Walton case” logger witnesses who goes to Skinwalker Ranch area just to re-experience and capture ‘E.T.” kind of phenomenon. There are many that will fake something to get attention, views and sales. This kind of marketing of crap gives the real stuff a black eye. For one it is harder to sift through and find the real stuff. For example type into youtube “ufo” and see how many hoaxer videos you find. Some make a living off the millions of views. Fake stuff sells though at the cost of losing all credibility to themselves. It is surprising to me. Though a subject that garners attention. Some are very easy to debunk and others it may be hard to tell if you aren’t a CGI, video or photographic professional (even then a challenge) and who has the time to spend to examine pixel by pixel? I have spent many hours and often alone with my infrared night scope pointed skyward in the hopes of capturing something interesting. For me the food service analogy that goes “when in doubt throw it out”. I can’t allow wishful thinking to influence my judgement. I have to have an open mind no matter where it takes me. What if there is no afterlife? I have to ask myself what then are these other generally unseen intelligences that know me and my name (including rare last name) that I have heard, seen and recorded. If they are real then are they ALL ‘demons’ as some religious people would put it? Do I have mental issues and am I hallucinating all this? Then it must be a mass hallucination or optical illusion that makes others have the same experience and leave physical marks. Tongue in cheek there. Can you tell? This site is about all things paranormal and what I can capture to show you that there’s something else going on out there. I wish that I could have captured half the things I have seen on camera. Then again seeing is not necessarily believing is it? I know a parapsychologist who (generally very skeptical) placed an video clip on his facebook page about “Alien bodies” from the moon. When I looked at the footage aboard the so called spacecraft I noticed there was still gravity in a weightless environment. Later it was revealed a sculptor had made these fake alien bodies. He did a good job with the bodies I must admit. Sometimes even the best (with an open mind) can be fooled. As it is said “Extraordinary claims require extraordinary proof”. Though what is that exactly? A piece of metal made out of elements not on earth? Though when that kind of evidence comes forward it seems to disappear again never to be heard of again. Then we have radar tracks, ground impressions, trained observer witnesses, radiation burns and strange implants etc. In this new video, my family and i take a trip to the bounds of Area 51. The famous not-so-secret military airbase where they test and develop prototype military planes. A former co-worker of mine told me how her husband had been hired to do work out there and said he was personally escorted under armed guard and even into the bathroom area. I fly my phantom one quadcopter (with mounted Gopo) up from Groom Lake road some 400 feet or so into the air into restricted airspace. Probably one of the first people to do this. I noticed after this r.c. flight that they stepped up their vehicle patrols right up to the highway 375. My daughter Shannon films the flight from the ground. It goes so high that it becomes hard to pilot visually and with the strong cross winds makes it very risky. We drive up to the bounds of the main entrance before the invisible red line of freedom and no freedom. See the so called “cammo dudes” vehicle watching us. Next we go to the Little A’Le’Inn not far from here is a small desert town called Rachel. There is no other drinking hole for many miles. I learned about the ‘haunted trailer’ from another paranormal investigator in Vegas. Staff and guests a like have similar reports of voices and strange sounds. Even the TAPs production crew had witnessed a fold-up chair unfold itself as reported to me by staff. What did I or didn’t I capture there? Watch the video to find out. We also did skywatching by the highway and ran a ghostbox session. Also an evp session with no ghostbox. A nice location because there are not many radio station signals out there, few to no planes and no light pollution. If anything with my videos I hope to inspire some of you to go out there and see what you can find. Just don’t be too shocked if you do. Are hauntings and ghosts real!? An ecto-plasmatically, insightful interview by researcher and investigator, Marc Coppell, with Psychic Medium, show host, researcher, remote viewer, writer, consultant, Tuesday Miles. She has taught classes on spiritual self-defense, developing metaphysical gifts, and paranormal investigating. She has been a victim of spirit assault and compassionately has empowered others worldwide in dealing with serious entity invasion in their homes and lives. Tuesday has also worked on missing pet and person cases. She was a friend of the late psychic, Peter James. Has also associated with parapsychologist, Dr. Barry Taff, and cameraman, Barry Conrad, who have been involved in severe haunting cases that have gained global attention in the news and various media. A resident of California, she is now retired from investigating. Tuesday still lives with one foot in the spirit world. She has had her own near-death experience which she recounts.